The wedding industry has fully embraced the digital age these days with the use of email templates. These templates allow couples to communicate with their tech-savvy guests without having to physically hunt them down and give out save the date or invitation cards. This method of announcing one’s wedding details is slowly gaining traction due to the rising cost of having a wedding. Why should you use wedding email templates? Millennials who are getting married prefer to spend more on experiences than physical objects. This is perhaps why they tend to gravitate toward the use of affordable email templates for their wedding. This way, they can save up on stationery design and printing costs, and then use this money for more meaningful things like a honeymoon. Aside from that, we have listed other reasons why wedding email templates are preferred over the use of traditional wedding invitation templates. To reach guests who are more active on their emails. These days, almost every person has an email address. As we have mentioned earlier, email templates are used if you want to inform guests who are more active online. An email containing all your wedding details will then be more useful in gaining their attention. If you do not yet have all your guests’ email addresses, you may easily gather them through social media. And, once you have compiled an email list, you may then begin sending out wedding invitations to those email addresses. To adapt to a technology-savvy world. In connection with the previous reason, using wedding email templates allows couples to adapt to the rapidly changing technological landscape. Wedding email templates are now more common, along with wedding websites. Some couples may just give our their website link to guests or through a social media post. Guests will then have to sign up on the wedding site on their own. Email updates will then be sent to them regularly before the wedding. They are easier to create and send. An advantage wedding email templates have over printable wedding templates is that they can be easily customized and distributed to guests. Couples do not have to print out these templates or hire a graphic designer to create each wedding card template. These email templates will usually come with clickable links that will redirect guests to the correct wedding site page for a wedding registry, a hotel and airline ticket booking page, or a wedding venue map page. To get real-time feedback or response. When you send elegant wedding invitation emails, you may receive real-time updates or responses to your invitation. And, when you use email automation services like MailChimp or Aweber, you will have the option to know if the emails have been opened or not. This is useful data for couples and wedding planners because this allows them to react quickly to different situations regarding the wedding. They are more affordable. 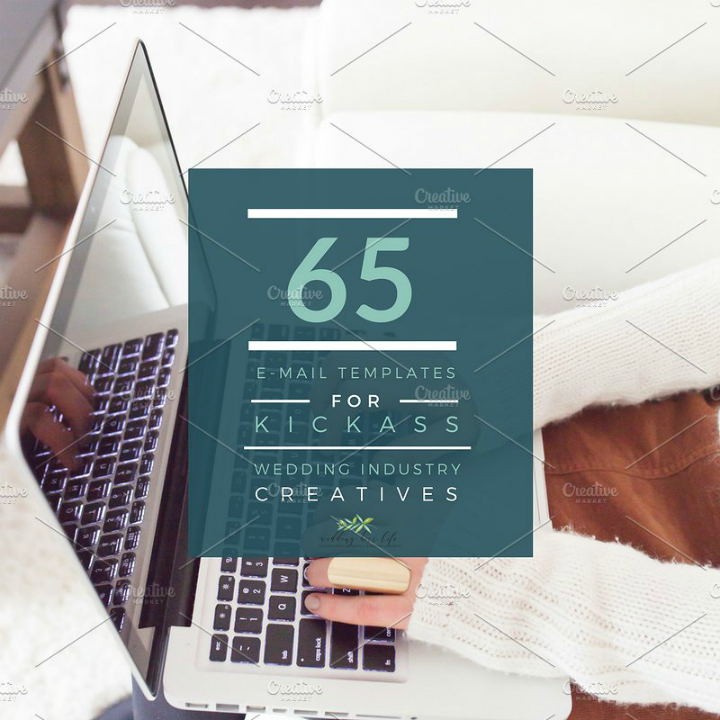 Lastly, using wedding email templates is a more cost-effective approach since you only get to fork out money for the base email template itself. There is no cost for sending these email invitations over the Internet. If you have a limited budget for your wedding, taking this route would be a good idea. Those are just a few of the different advantages of using wedding email templates. You will realize more of its benefits once you have officially tried out this method of sending wedding invitations. Embedded below are 15 pre-made email templates that you can use for your own wedding. If you are going for a traditional and conservative wedding theme, then you may like the Classic Wedding Invitation Email Template displayed below. This wedding email template follows an elegant email layout filled with text and images. It is fully editable as a Photoshop Document (PSD) file that you can later attach as an HTML file into your email. The template layout measures 800 pixels by 2,831 pixels. You may resize this depending on your preferences. Also, all free icons and font styles used in this template are free. If you are using formal invitation card templates for your wedding, you may also like the Luxurious Wedding Invitation Email Template shown below since this email template also follows the same classy theme. This email wedding template comes as a PSD file and may easily be converted into HTML format which can then be attached to an email message. The whole template measures 600 pixels by 2,400 pixels. Also, note that you will need to provide your own pictures for this template. You may use your pre-wedding or engagement photos. To make the email template appear more personalized, do not forget to add your own wedding logo designs or incorporate a unique graphic element. Choose the Minimalist Wedding Email Template shown below if you want a clean and clutter-free email template design. 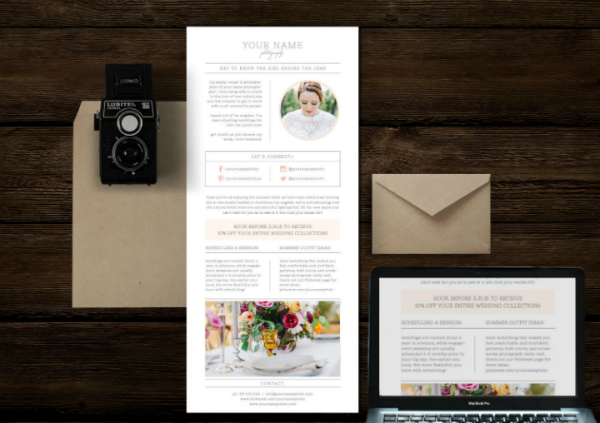 This email template will also work well with other minimalist-themed wedding templates. Need a wedding email template showcasing bright colors and bold typography? Try out the Pastel Pink Wedding Invitation Email Template shown below. As shown above, this template primarily uses neon pink and purple background colors. However, you may change the color scheme palette to match the official wedding color. This template can easily be converted into HTML format since it is already stored as a PSD file. It measures 600 pixels by 2,404 pixels. Also, you may print out the entire template if you want to have a tangible copy of the design. The Professional Wedding Invitation Email Template (shown below) is a good example of an editable email invitation template whose original designer will personally make the edits on the template. As part of the template’s ordering process, customers will be asked to enter the bridal registry information and other wedding details. This allows the email template creator to customize the template before he or she sends out the final template. For couples who do not have much time to edit their own email templates, using this email template will allow you to check off one item on your wedding checklist easily and quickly. The PSD Wedding Photography Email Template featured above is an example of an email template for wedding photographers. This email is usually sent to couples and wedding planners so that they can read about the different wedding photography packages that a person or firm offers. Brides who are planning their own weddings will greatly benefit from these emails since they will get direct price list quotes for different photography services. Want a wedding email invitation template that will surely get clicks and catch your guests’ attention? If yes, you may try the Typography Email Wedding Invitation Template shown below. This email template can work well with other summer wedding templates and destination wedding templates because it features editable graphic elements. You may replace them with any recurring design created specifically for your own wedding. It follows a 600-pixel layout design. It is also fully editable and instructions on how to transform it into an HTML file are included in the template download. Planning a vintage wedding? You are in luck because the Vintage Wedding Invitation Email Template embedded above has been created for just that reason. This template is available in grey and gold color variations. When transformed into an HTML-compatible file, the template is fully responsive. This means that it will render and adapt well to any display screen type you view the email with. What wedding email template to use? Your wedding invitation designs do not have to be used exclusively on printable wedding cards. You may also incorporate them into your wedding email templates. In the same vein, you do not have to forgo one option in favor of the other. For a more memorable wedding, you can certainly combine these two options and send both email and printable wedding templates. Use email templates for your friends who are living far from you and send printable wedding cards to those who are living in the same city or town. Both things serve the same purpose, but the timeline by which you get a response from them will differ. So, if you want your wedding to make a technologically-relevant statement without appearing too conservative, it is best to use wedding email templates that will bear the same graphic design elements as your printable wedding stationery. Do not hesitate any longer. Hurry and grab one of these email wedding templates today!